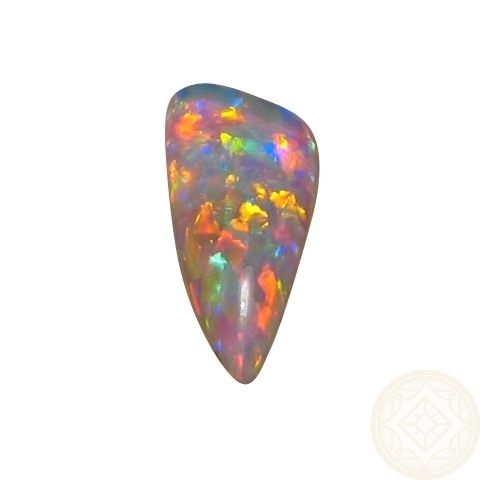 6 Carat Coober Pedy Crystal Opal with brilliant multi colors. 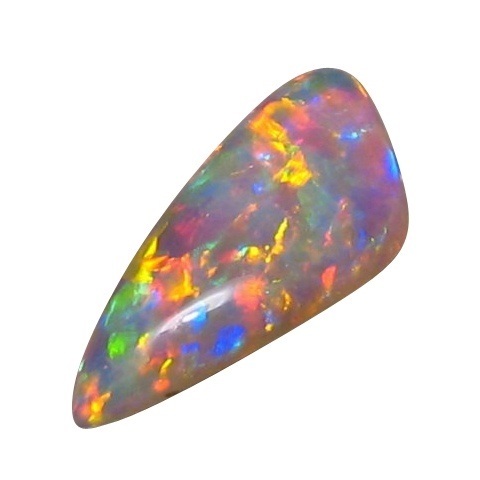 A stunning natural stone. 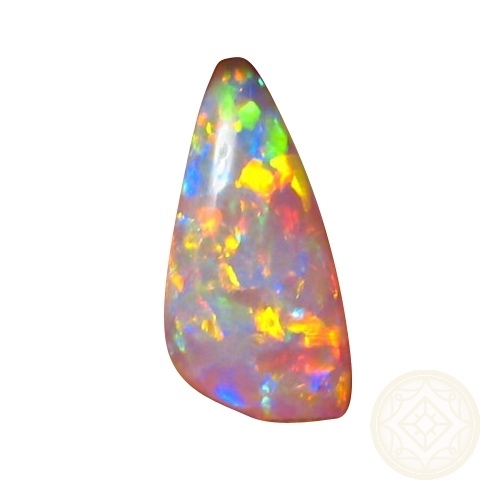 Amazing Gem Opal from Coober Pedy for the gem collector or have a Custom piece of jewelry made to really show it off. 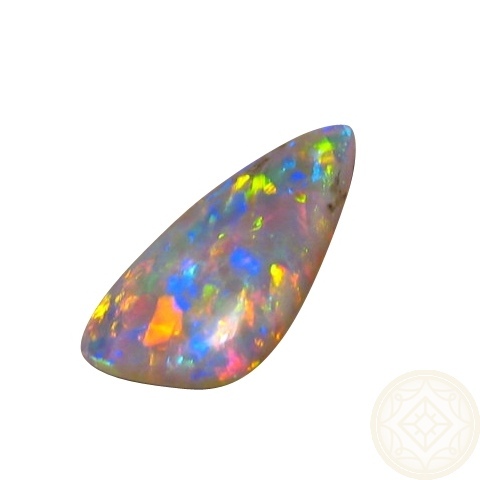 It is not a standard shape - which makes it more interesting - but has a tear drop look to it. The colors are 'off the chart' bright and they are a stunning mix of Red and Blue with some Gold at times which flash in a harlequin pattern. 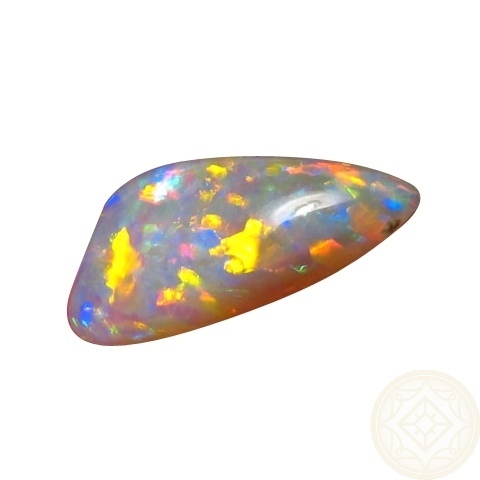 Watch the video to see the natural beauty of the stone but as with all Opals, it is best viewed in person. 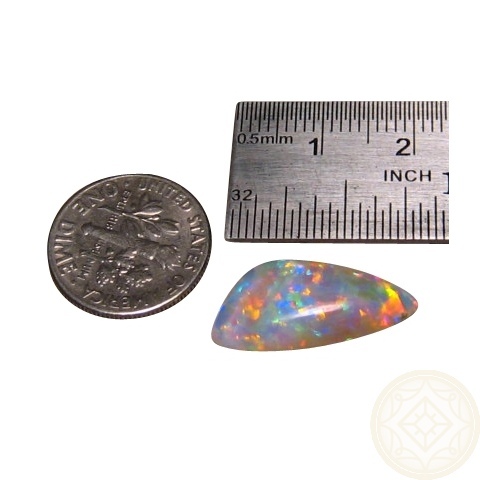 Please allow at least 2 business days to ship as this is part of a retired opal miners stock.